Workshop will be held at Serene Mind and Body, 93 Spon End, Coventry CV1 3HF and will cost £25 for a 3-hour Saturday afternoon session. Date and time TBC. Until then, add these postures below for daily relief from stress and aches and pains. 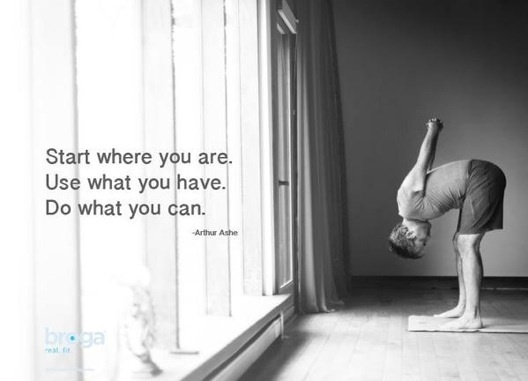 I hope you’ve all had a wonderful Christmas and New Year and are ready to get back into your yoga routine, or perhaps you’d like to try out yoga, having never done it before?! Either way there are lots of options for you in my new timetable. Do you have a friend who needs a treat…? Someone in need of some self care and would benefit from the gift of yoga? 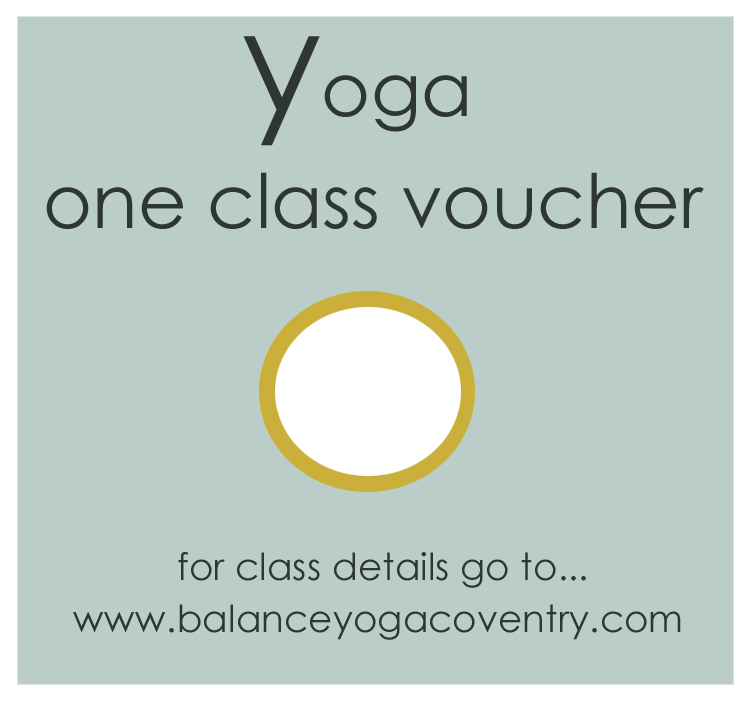 I now have gift vouchers available from £6 for a single class up to £40 for an hour and a half of one-to-one yoga. 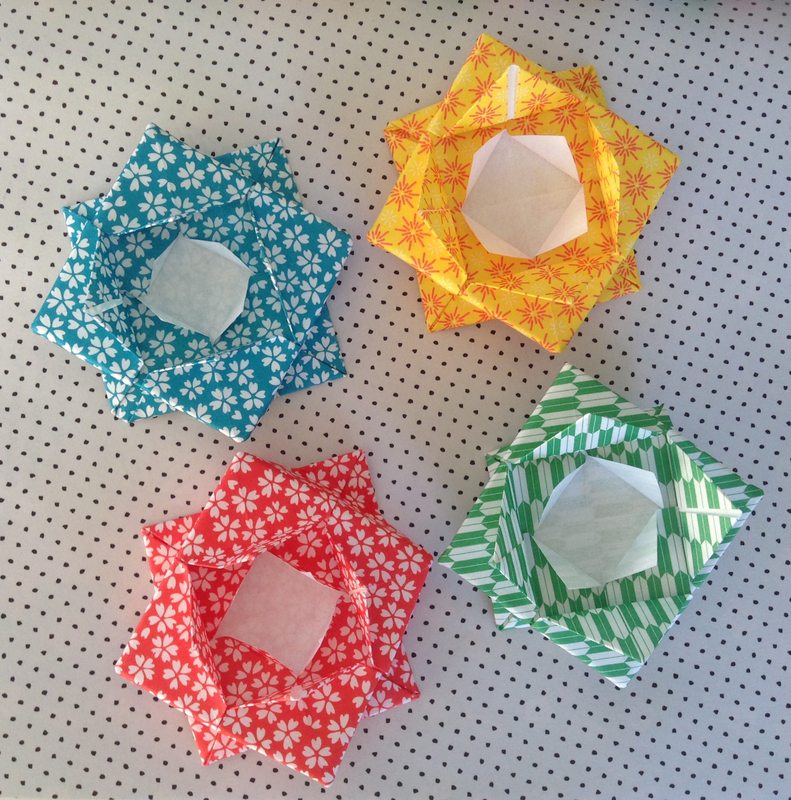 Beautifully packaged in an origami lotus flower and includes free delivery. 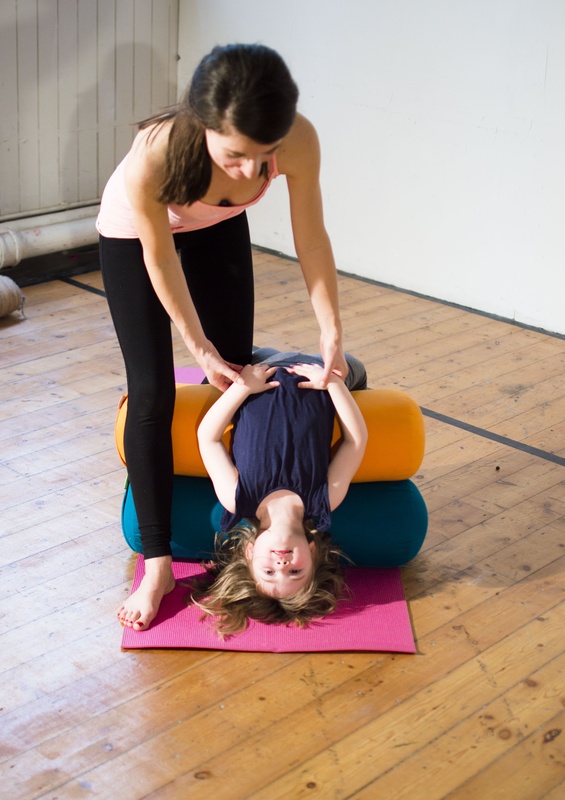 Classes exclude sessions at Fargo and Pregnancy and Postnatal. Contact me to now to buy your voucher. Thank you! There’s some changes to my timetable. 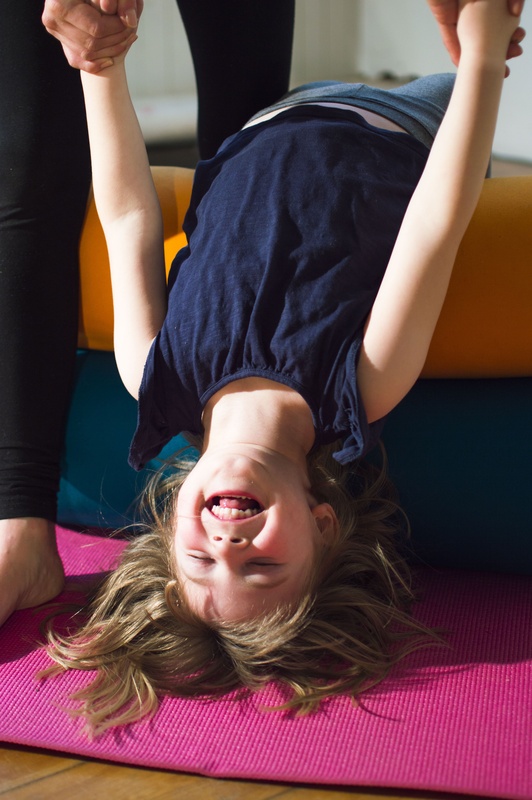 From Monday 3rd November there will be a lovely new mum and baby postnatal yoga class at the gorgeous Little Sunflowers sensory play centre in Kenilworth, every week 10-11am. Booking is essential as spaces are limited, £24 for 4 consecutive sessions. Sadly I’ve had to cancel the Friday postnatal class at Tesco Arena in Coventry. 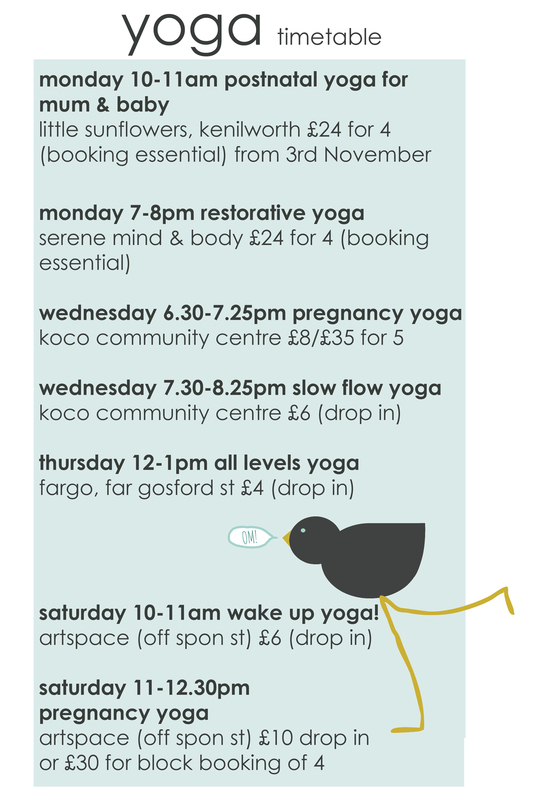 The Wednesday night classes have begun at my new venue….NEW Pregnancy Yoga 6.30-7.25pm and Beginners Slow Flow Yoga 7.30-8.25pm at Koco Community Centre. See classes page for details. I now have a lunchtime class at the fabulous Fargo, 12-1pm every Thursday lunchtime in the Allsorts space (Unit 10), this is open to all and is only £4. See you on the mat very soon! Holiday 6-12 October…see you when I return! 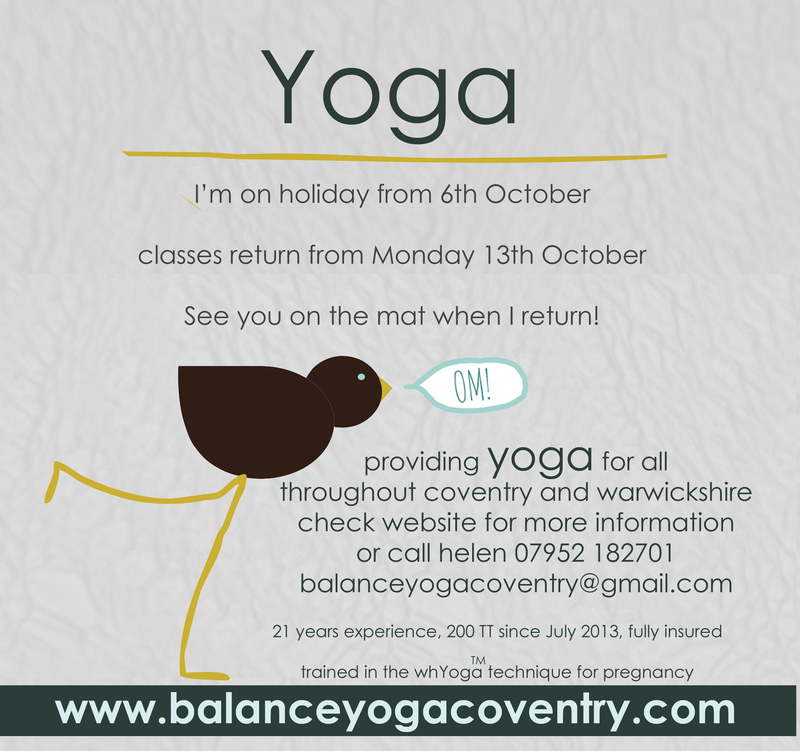 New Pregnancy Yoga Class in Coventry! Due to demand I will be teaching a new midweek pregnancy yoga class on Wednesday evenings at Koco Community Centre CV1 3JQ 6.30-7.30pm starting on 15th October. The space is lovely, perfect for a candlelit vibe as we get into Autumn. There’s free parking and is not far off the ringroad in Spon End so close to Chapelfields/Earlsdon.